November 4th – The Early Birthday Present! After months of driving my husband crazy, the object(s) of my obsession shows up. I can stop nagging, now. 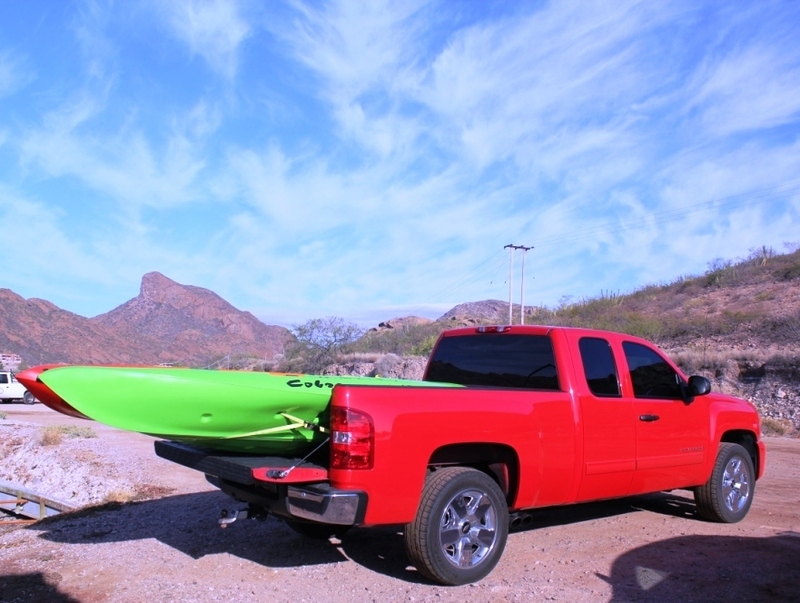 It has to be said that the kayak I wanted comes from California, which added to the complexity. Trying to get stuff to Mexico without paying a fortune in duties is an art in itself. That’s where our good friends Craig and Linda came to the rescue. They’re from Tucson, Arizona, and they often drive to their casita in Puerto Penasco, Mexico – about 300 miles from San Carlos. They look mean, and they're still on the truck! 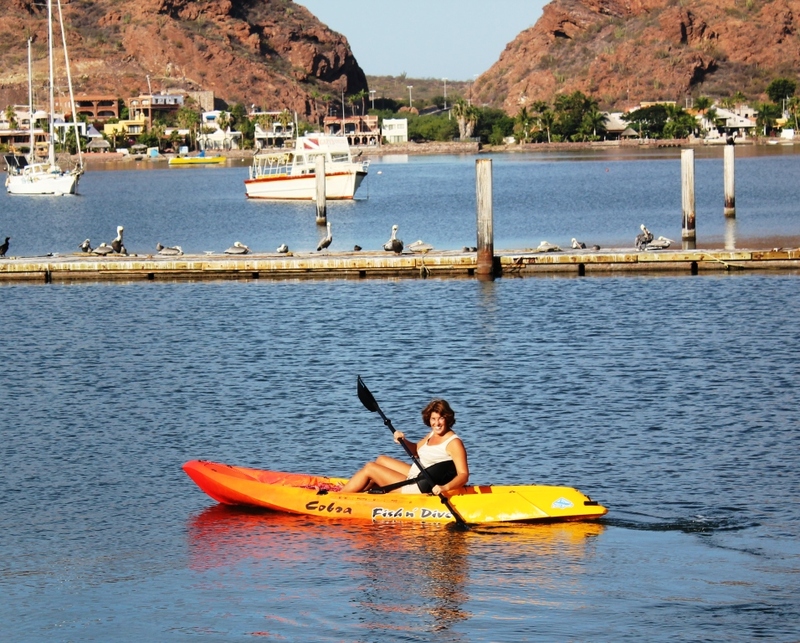 They volunteered -or were forced, it’s not clear – to be our “mules” and drive the kayaks to San Carlos. 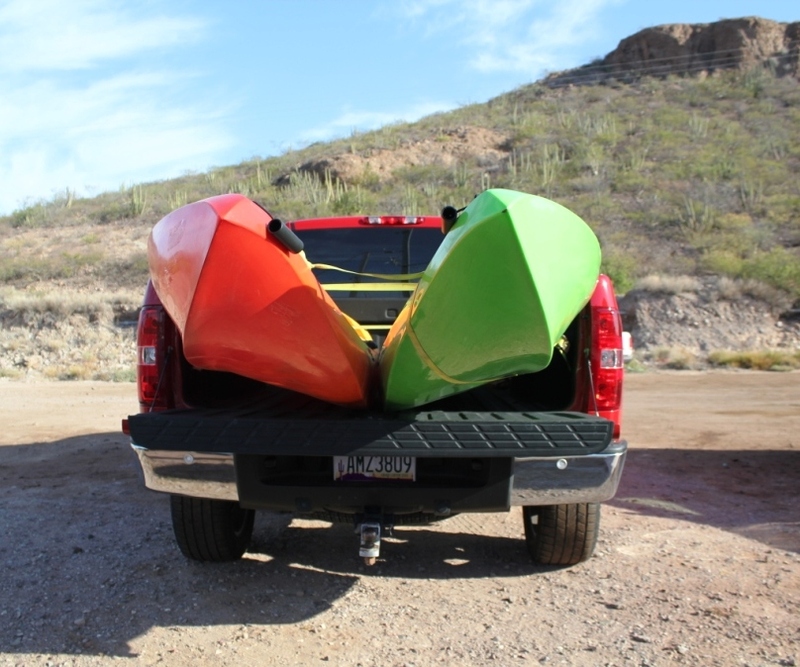 Yes, there are now TWO kayaks. You didn’t think I’d leave Tom deprived of a kayak, did you? He got a nice green one. In any case, Craig and Linda arrived with my early Birthday present. I know it was quite complicated for them to do that, and for all the trouble they went through I’m profoundly grateful. Thank you guys, you truly are the best! And special thanks to my Mom, which financed my Birthday present and Tom’s Christmas present! Yes, my nagging went on all the way to Italy… I guess everyone is happy I got my wish, for peace is finally restored! Do I look happy enough? Because I AM!